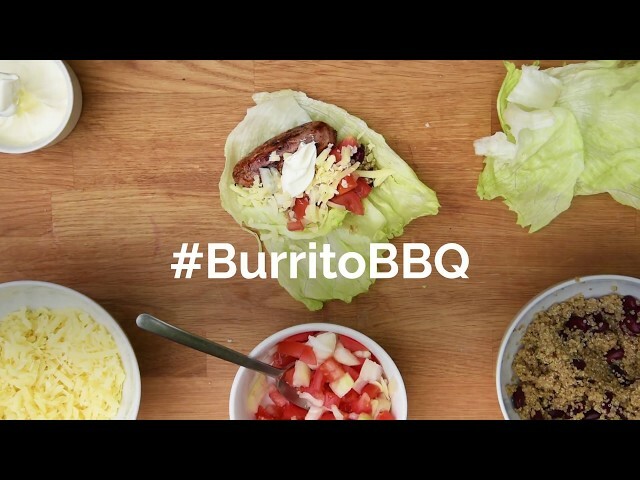 Gluten Free Sausage BurritoBBQ's are about bringing family and friends together, so we believe they should be fun for everyone! This gluten free burrito uses lettuce instead of bread and is a much healthier alternative to your classic burrito, bread lovers can even add in a wrap! Having an intolerance to gluten is certainly difficult at times, but when you realise that most things can be replaced with another great ingredient, things start to get creative! This lettuce wrapped sausage burrito includes everything that the classic burrito is known for, simply switch out the wrap for lettuce and you’ve got yourself a gluten free, healthier alternative! Pull back foil to eat, and enjoy!